Apple's long-rumored iWatch will be released in October 2014, and will come equipped with a magnetic-resonance wireless charging system that will allow the wristable iDevice to be charged from as far as one metre away. This latest rumor comes from G 4 Games, which spotted a report (Google Translate) in the Chinese-language website C科技 – Ctech – which it refers to as a "pretty well-known source of information that has a pretty good (some would say excellent) track record when it comes to Apple-related leaks." 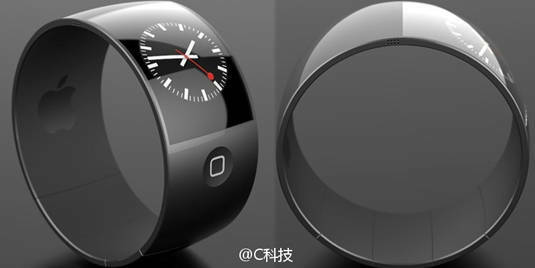 Ctech also says that the two iWatch prototypes its source told them about were equipped with a 100mAh battery. If true, that's far less capacious than the 315mAh battery powering the unloved Samsung Galaxy Gear not-so-smartwatch, which was dissed due to its poor battery life (although some users have reported that a late-November update improved battery life somewhat). If the iWatch Apple finally ships does indeed contain a 100mAh battery, its small capacity may be mitigated somewhat, according to Ctech: the Cupertinian smartwatch will be charged wirelessly from a metre away (3.2ft). As Ctech notes, charging from that distance wouldn't use close-in magnetic induction tech, as used in your Sonicare toothbrush or in devices based on the Qi wireless charging standard promulgated by the Wireless Power Consortium, but instead a magnetic resonance system – like the one the Korea Electronics Technology Institute announced on Thursday, and G 4 Games reported in October that Samsung plans to introduce into its phones in mid-2014. If, for example, a magnetic resonance charger were to be placed in a device to which you find yourself tethered (figuratively speaking) for hours per day – your PC, for example, or your car – a short-lived battery may not be that much of a problem. Alternatively, if the charging devices could be placed around your home or office, they may be able to boost the battery whenever you came in range, thus passing on the chore from charger to charger. However, as we at The Reg caution whenever we report such rumors, all of these possibilities are merely reports from unnamed sources, and should be taken with more than the customary grain of salt.